Your skin is left feeling naturally fresh and soft. WHY IS MICELLAR WATER GREAT FOR YOUR SKIN? Unlike other makeup removers and cleansers, you don’t need to rinse it off. Micellar water turns a lengthy make-up removal session into a process that takes a matter of seconds. When you’re on the go or packing for a holiday, lighten your load by replacing your toner, make-up remover, and cleanser with a single bottle of micellar cleansing water. Not all micellar waters are created equal. Many formulas have added ingredients designed to sooth and moisturise your skin even further. NIVEA’s Sensitive Caring Micellar Water contains a B5 pro-vitamin and lightweight grapeseed oil that leaves even the most sensitive skin feeling fresh, clear, hydrated, and youthful. Check out these NIVEA MicellAIR Expert reviews and see why Australian women love it as part of their daily face care routine. When it was first developed in France, micellar water was designed as a way to avoid using their notoriously hard water supply. Hard water has a high mineral content of calcium and magnesium. It can dry out skin, block pores, and upset your skin’s delicate balance, leading to redness, blotchiness, eczema and acne. Micelles are microscopically small congregated molecules. They consist of a ‘water-loving’ (hydrophilic) and a ‘fat-loving’ (lipophilic) part. To remove water-soluble as well as fat-soluble dirt and make-up from the face, you need both parts for an efficient face cleanser. For micelles to be formed, there needs to be a certain amount of surface tension reducing compounds called surfactants. When this happens, the molecules within the liquid begin to rearrange themselves and form what we know as micelles. This is a natural phenomenon that is used in NIVEA products containing micellar technology. Micelles act like a magnet. They attract dirt, make-up, sebum and other impurities. The secret is in their structure. Micelles are soft on the outside and strong on the inside. The ‘water-loving’, outer part lets the micelles stick to the wipe, while the ‘fat-loving’ centre attracts and binds impurities. Micellar water is a kind and gentle way to cleanse the skin and remove make-up. 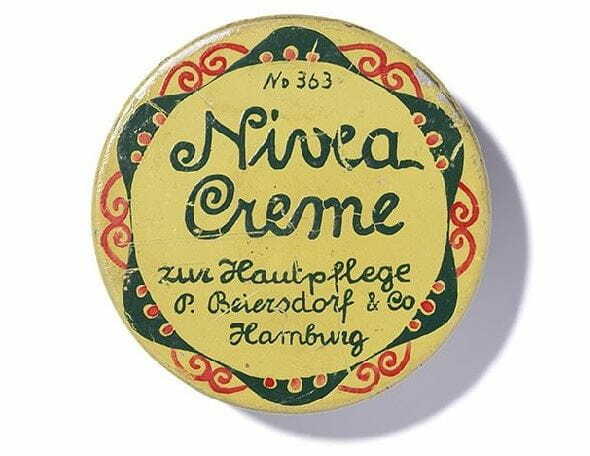 Furthermore it is caring and also mild enough to use on the delicate eye area. The formula effectively targets dirt and grime without smudging or requiring rubbing or rinsing. All you need is a cotton pad and your Caring Micellar Water. If you’re on the go and want an easy makeup remover solution, you can also try our 3-in-1 Caring Micellar Wipes..
From pores to lashes and eyelids - discover the cleanser that efficiently removes dirt and make-up while toning and moisturising. To keep the natural beauty and glow of the skin, you need an effective face cleanser to remove the remains of the day. This can be anything from dirt and pollution to sebum and skin flakes. Caring NIVEA Micellar Water with grape seed oil and panthenol caters especially to sensitive skin needs. It also contains Provitamin B5, helping your skin looking healthy & smooth. Micellar water focuses on three key areas: makeup removal, intense cleansing, and moisturising. The formula with precious ingredients let the skin breathe freely again and helps to prevent irritations or redness. The Micellar Water from NIVEA is formulated with your lashes in mind. The water gently yet thoroughly removes make-up from eyes, lashes, face and lips – no need for rubbing nor rinsing. It is gentle and caring for the lashes. WHAT MAKES MICELLAR CLEANSING WATER SO GENTLE ON THE SKIN? The skin on your face is exposed to dirt and bacteria all day - whether from accidentally touching your face or for example using your phone. Removing grime and make-up helps to stop the pores from becoming clogged and helps the delicate skin on your face look naturally healthy and glowing.